On Saturday 28 October 2017, I exposed the ‘blood rhino blacklist’ syndicate, live on air, on the award winning Radio New Zealand show with Kim Hill. Listen to the 30 minute interview here. I am the guardian of the ‘blood rhino blacklist’. 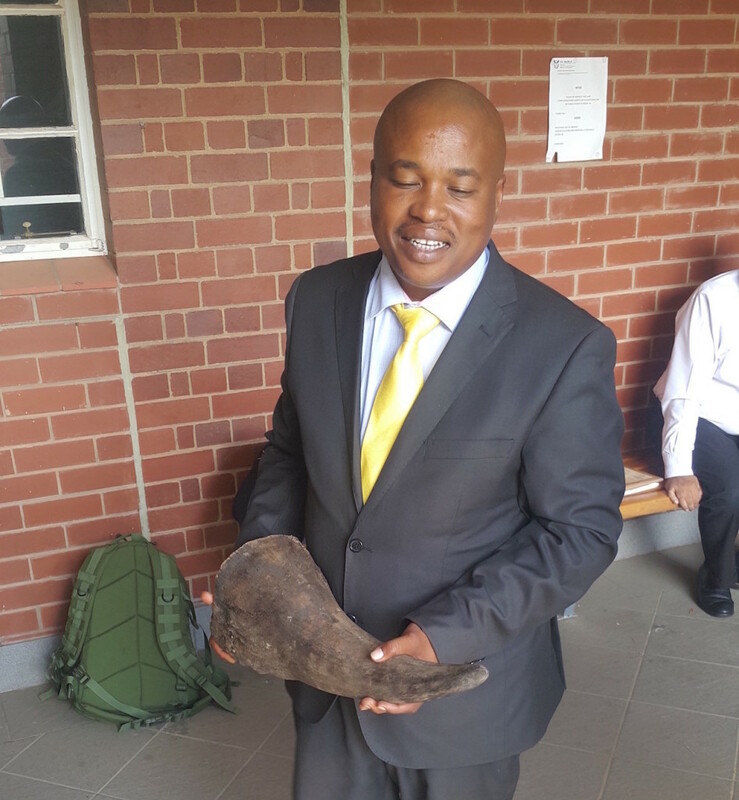 I have already exposed two magistrates and two defense attorneys involved in the case of Zululand’s accused rhino poaching kingpin, Dumisani Gwala. But this is just one thread in a systematic web of corruption. I met Fresh at the start of 2017. I had been contacted through our NGO website, savingthewild.com, and the person claimed to have information on corruption relating to the Gwala case. I immediately called State Advocate Yuri Gangai, and he instructed Hawks Detective JP van Zyl Roux to accompany me to the meeting with the source. Back at the Hawks Police Headquarters in Durban, a young man that I would later name ‘Fresh’ to protect his identity, began confessing that he is the nephew of Gwala’s original defense attorney, ZW Ngwenya, and explaining how he had been sucked into a life of crime while working for his uncle. Over a two-year period, 2015 and 2016, he claimed he had been instructed by his uncle Ngwenya to hand over large amounts of cash bribes to many magistrates and prosecutors in Zululand. I think for Detective Roux, and for myself, we were thrilled to have such a breakthrough, but it was devastating to hear the vast extent of the corruption. Many of the courts in Zululand are being run on fists full of cash and bottles of Hennessey. These people are drunk on power. These crooked justice officials are not only protecting rhino poachers and kingpins, they are protecting murderers and rapists too. Fresh showed genuine remorse, but I’m cautious of everyone I encounter, and it was only after he made his sworn police affidavit in February, and then we polygraphed him in March that I started to truly believe. In June of this year, I was handed over to a Lieutenant Colonel who is investigating the top layer – allegations that KwaZulu Natal Regional Court President Nzimande took bribes in exchange for appointing magistrates. Suddenly all the pieces of the puzzle began to fit together. The Lieutenant Colonel then spent a few months verifying Fresh’s affidavit, and, finally, after arranging Fresh’s safety, it was time for the truth to come. DID THE NPA SABOTAGE THE CASE OF ACCUSED RHINO POACHING KINGPIN, DUMISANI GWALA? It was the intention of State Advocate Yuri Gangai to bring forward an application for the recusal of Magistrate Shandu at Ngwelezane court on Monday 9 October. Magistrate Shandu is the man I exposed on 23 July through a Sunday Times article by Matthew Savides as being in a corrupt relationship with Gwala’s current defense attorney, Miss Mpume Linda. Myself, Detective Roux and the Lieutenant Colonel were requested to write affidavits in support of Advocate Gangai’s application for the recusal of Magistrate Shandu. On Friday 6 October we all made sworn police affidavits, signed and witnessed by a Commissioner of Oaths. On Saturday 7 October, Advocate Gangai called me to tell me I no longer needed to be at court on Monday as, in the final hour of Friday, he was bizarrely replaced as the prosecutor on the Gwala case. The only way the NPA could have stopped the application for the recusal of Magistrate Shandu was to replace Advocate Gangai with a prosecutor that didn’t have the backbone to stand up to Magistrate Shandu. Advocate Gangai would have provided evidence that a bribe was paid to Magistrate Shandu – in the presence of Gwala’s defense attorney Miss Mpume Linda – so that he would “take it easy” on Gwala. 1. The allegedly corrupt Magistrate, Mr Shandu, is staying on as the magistrate. 2. The allegedly corrupt defense attorney, Miss Mpume Linda, is staying on as the defense attorney. 3. Trial dates have been set for May 2018. From time of arrest in December 2014, it would have been nearly three and a half years. Why was the application for the recusal of Magistrate Shandu not heard? Exactly who the KZN DPP protecting? Is it Gwala? Is it Shandu? Or does it go higher up the chain to Nzimande? I can now confirm that KwaZulu Natal’s Director of Public Prosecutions, Moipone Noko, has known for some time about this alleged syndicate of prosecutors and magistrates. And she is also aware of the intention of the South African Police Services to move forward in the final stages of the investigation. But if she is willing to sabotage the Gwala case, which has been postponed at least 17 times since the start of last year, what will become of the ‘blood rhino blacklist’? During the end of 2014 beginning 2015 my uncle asked me if I knew anything about poaching. I said I knew the meaning but had never done it. He told me there was a guy called Gwala who was very rich. My uncle told me that Gwala was involved in rhino horns. I was surprised because I only knew about elephant ivory. He told me that Gwala had been arrested. He wanted to do these cases because he was tired of the white people thinking that they were born with these rhino. As long as they would continue poaching and paying him, he would represent them to stop the white people from owning the rhino. He got various rhino cases from there. He was not worried and said he knew all the magistrates and prosecutors, and they would win all the cases, one way or another. As long as he got paid well, he would look after his friends. All the poachers had to tell their friends it was Ngwenya, the hero, who was going to get them out. When the Gwala case was moved to Ngwelezane court my uncle handed the defense over to Miss Mpume Linda. He was keeping a low profile because of a reporter, Jamie Joseph, who was making life difficult for him. He was however influencing the case. I was present when the magistrate presiding over the case at Ngwelezane court, Mister Shandu, arrived at my uncle’s house in Pongola. Mpume Linda was present as well. They discussed the case and it was agreed that Shandu prolong the case until the state would make mistakes and he could acquit Gwala. If it did not work out he would sentence Gwala to a light sentence of community service. I was given R3000 to give to Shandu as an initial payment so that Shandu would not be too hard on Mpume Linda in court. Further payments would be made if the case proceeded. I did as instructed, and handed the money over to Magistrate Shandu. At that stage I also knew the magistrate who worked on the Gwala case, Ngcobo. During 2015 I was paying Magistrate Ngcobo on other cases where my uncle was representing the accused. My uncle would give me the money after which I would hand it to Ngocobo at the courts toilets at either Mtubatuba or Ingwavuma courts. With every case my uncle would ask me to contact the presiding magistrate and make arrangements for the handing over of the money in return for the magistrates handing down a lenient sentence or acquitting the accused. My uncle was involved in paying off various other magistrates and prosecutors in Pongola and all over Zululand. There is another prosecutor from Pongola named Mankosi. She drives a black jeep and rents a house behind Pongola court. She is well befriended with my uncle. She helps him with a lot of cases in the district court. The last case I remember is where a young boy of fourteen years old was raped by a man named Siya. Mpume Linda called me and told me to inform Ngwenya about the case. We went to see him. The man told Ngwenya that he had raped the boy but wanted the case to be over or disappear. The man told Ngwenya he had a lot of money. Ngwenya asked the man for R150 000, to which the man agreed. His sister paid an initial amount of R40 000 in cash. She handed over the money to me at Pongola Engen garage, at the Wimpy. I handed the money to Ngwenya who called Mankosi. She first did not want to help because she had her own children. Ngwenya persuaded her. They agreed that the suspect lay low for a week, after which he would be given bail. The suspect was granted bail as planned. He then paid a further R40 000 over to me via his uncle. I accompanied my uncle to Mankosi’s house where I handed over R15 000 to her. My uncle then asked me to call the other prosecutor from the regional court, Mr Mathenjwa, with who Mankosi had collaborated. He was requested to meet us in my uncle’s garage. I phoned Siya in order to collect the outstanding money. Jabulani Mngomezulu, who is now my uncle’s driver, drove me to Mzingazi Township, near Richard Bay, where Siya stays where we recovered R69 000 from Siya. On our return to Pongola I handed the money over to my uncle. When we arrived at the house the prosecutor Mathenjwa was drinking with my uncle. I took R20 000 from the money and handed it over to Mathenjwa. There were numerous other occasions where my uncle instructed me to hand over money to Mankosi and Mathenjwa. How many people have gone through terrible trauma, and then found the courage to testify in court…only for it to end up in an acquittal? We will never know the totality of these horrendous injustices. But how we respond, today, will have an impact on both past and future cases. 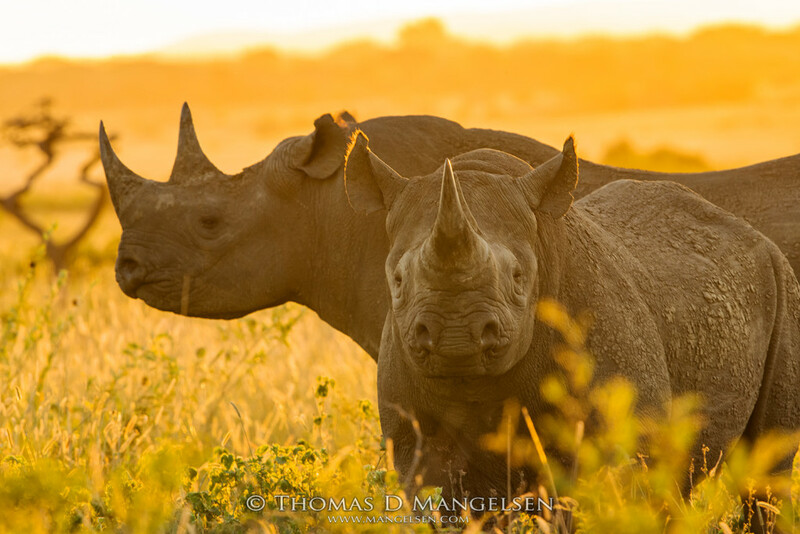 As for the iconic rhino, we are amputating pieces of our own evolution, and our own humanity, when we allow a species that survived the ice age to be butchered into extinction. The justice system has become the axe instead of the gavel. 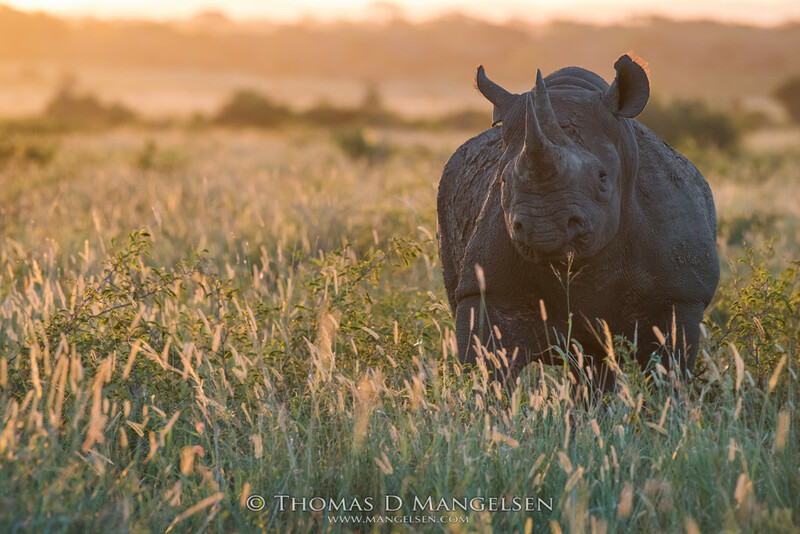 When a magistrate convicts a rhino poacher and punishes him with a fine and no jail time, poachers often have no other means to pay off their fines and bribes than to kill another rhino. Earlier this month I was reunited for the third time with Zulu Princess Latoya Buthelezi. An international rising star, the singer songwriter is best known by her stage name, Toya Delazy. 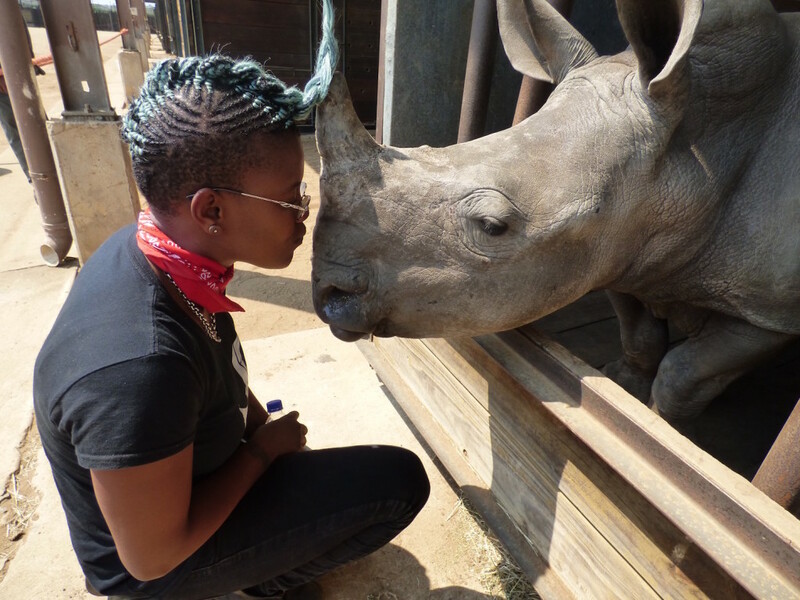 In an interview with the BBC, she spoke of the value of rhino to her Zulu nation. Join the crusade for justice on Saving the Wild Facebook and Twitter #BloodRhinoBlacklist #JusticeForZululand.